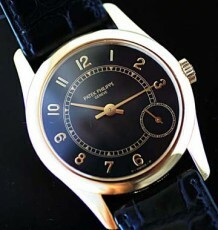 Home/Shop/Patek Philippe/Patek Philippe vintage tank watch. 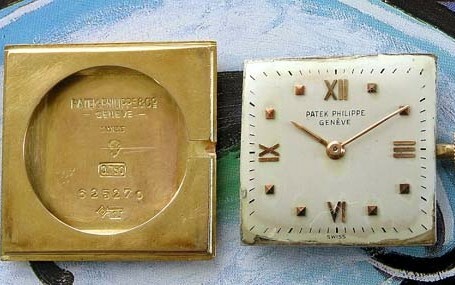 Classic vintage Patek Philippe from the 1940's. Very difficult to find in such clean condition, a true collectors item. 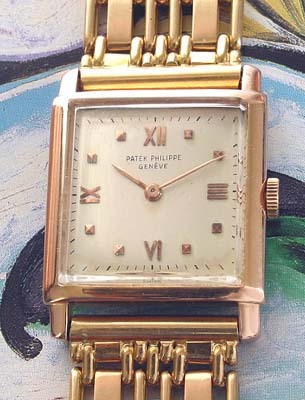 From one of the most well respected names in watchmaking, this solid 18K pink gold tank watch has a wonderful vintage appeal, and dates to the 1940’s. 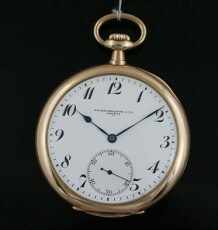 The manual wind Patek 8L movement has just been serviced and functions flawlessly. 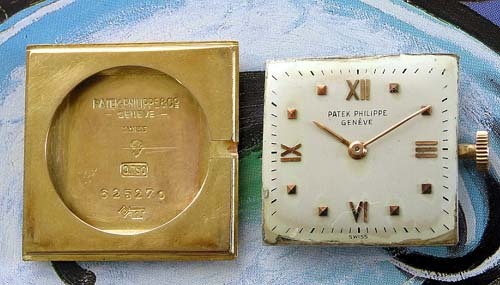 The original dial has some aging toward the edges but it still superb with the pink gold Roman numerals at the compass points. 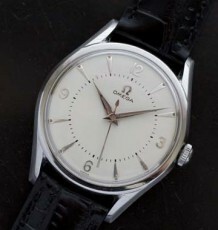 The watch is supplied on a period correct long and heavy pink gold bracelet that has approximately $500 of gold weight to it and adds more retro appeal to the piece. 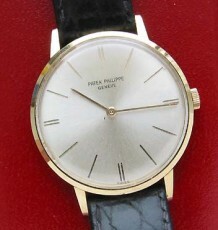 The watch measures 25mm wide by 33mm long.